4 Nights' Accommodations, 4 Breakfasts, 2 Dinners, High Tea at Hopsewee Plantation, Guided Hopsewee Plantation Tour, Tour of Georgetown, Admission to Brookgreen Gardens Night of 1,000 Candles, Alabama Theatre Christmas Show, Carolina Opry Christmas Show, Optional Trip to Hamricks and Pawleys Island, Optional Trip to Broadway at the Beach, Baggage Handling and Transportation. Join us for a heart-warming holiday excursion to Myrtle Beach, South Carolina. Following meal and rest stops en route, we will arrive in Myrtle Beach South Carolina at your home away from home for the next four nights, the Beach Cove Resort (843-286-5690). Resort amenities include an indoor pool and whirlpool, 3 outdoor pools (one outdoor pool heated year-round), a fitness center, racquetball court, on-site dining options and a cocktail lounge, a business center, coin operated laundry, and complimentary Wi-Fi internet access. Guest room features include a living room with sleeper sofa, table and chairs, private balcony, fully equipped kitchen with stove, microwave, refrigerator, basic utensil and dishes, coffee maker, cable television, DVD player, hair dryer and iron/ironing board. Dinner this evening will be included at the hotel with time to enjoy the hotel amenities afterwards or rest after a long day's travel. Wake up to a hearty breakfast included at the hotel's restaurant. Following breakfast, we have the option to enjoy a day of leisure at the resort, or hop aboard the motorcoach for some time to shop at Hamrick's and explore Pawley's Island & the Hammock Shops. Don't forget your holiday shopping list as our first stop will be at Hamrick's. Since 1945, Hamrick's has been family owned and operated and has grown from its humble beginnings as a small grocery and general merchandise store to the modern-day department store offering the hottest brands at deeply discounted prices. From ladies, men's and kids apparel to shoes and accessories, as well as large home and gift ideas, Hamrick's offers a shopping experience for all ages and styles. Next, it's off to Pawley's Island and the Hammock Shops Village offering a memorable mix of Lowcountry nature, history, shopping and dining. Visitors may choose to browse the shops, sip a glass of wine on the deck, witness the art of hammock weaving or sweetgrass basket making demonstrated each day, explore it all and grab a bite of lunch on your own while here. Mid-afternoon, we will board the motorcoach and return to the hotel for a short time to relax before we depart for Barefoot Landing. Whether a day of leisure was your choice or one of "retail therapy", you don't want to miss a trip to Barefoot Landing for dinner on your own and a heart-warming, holiday spectacular at Alabama Theatre. 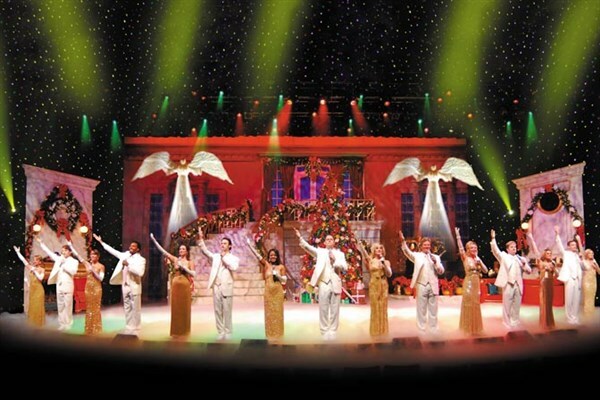 This year's Christmas extravaganza brings an incredible combination of singing and dancing talent, magical scenery and special effects to the stage for a holiday musical experience sure to put you in the season's spirit. At the conclusion of the performance we will return to the Beach Cove for the night. Breakfast will be included at the hotel's restaurant once again before we board the motorcoach and depart for a tour of Georgetown Historic District, a small southern coastal town filled with charm, history and personality. We follow that with a visit to Hopsewee Plantation for High Tea and a tour. Included in our southern tea experience will be a delightful array of lunchtime finger foods and baked goods accompanied by a variety of delicious teas. Afterwards, we will have a guided tour of Hopsewee, built circa 1740 some 40 years before the American Revolutionary War, it was one of the South's major rice plantations, as well as the birth place of one of the signers of the Declaration of Independence, Thomas Lynch, Jr. Next, we will return to the resort to freshen up for our evening's dinner and entertainment. Dinner will be included at the Original Benjamin's Calabash Seafood featuring fresh, local seafood prepared "Calabash style" - lightly battered and deep-fried to perfection. If you go away hungry, it's your own fault. The evening concludes with a special brand of light-hearted entertainment, often called "The Christmas Show of the South". We will enjoy an enchanting holiday performance at the Carolina Opry. An unforgettable holiday experience, Carolina Opry brings stunning changes, beautifully blended with time-honored tradition to create a family experience that is second to none as new talent mingles with acclaimed rotating artists and long-standing Opry favorites. We will return to Beach Cove Resort after the performance to turn in for the night. Begin the day with breakfast once again included at the hotel's restaurant prior to an optional day of leisure or a trip to Broadway at the Beach. If Broadway at the Beach is your choice, our motorcoach will transport you for time on your own to shop at the many specialty shops, visit Ripley's Aquarium (additional fees apply for admission), eat at one of the exceptional restaurants, or just relax and enjoy the time to people watch. Early afternoon, we will return to the hotel to freshen up for our last night which will be spent at the gloriously decorated Brookgreen Gardens. 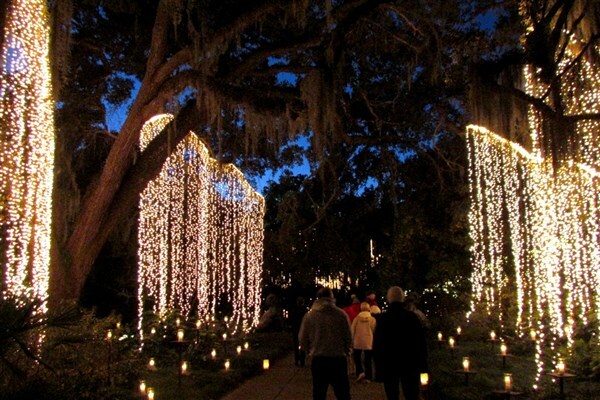 Named "Best Christmas Lights in South Carolina" by Travel & Leisure Magazine, Brookgreen Gardens comes to life amid the soft glow of more than 4,500 hand-lit candles and countless sparkling lights. Stroll the garden pathways with the heartwarming sounds of musical entertainment and carolers singing holiday favorites. Dinner this evening will be at your expense while at Brookgreen. We will return to the hotel at the conclusion of our visit. Breakfast will be included at the hotel's restaurant before we check out and travel home, but not without fond memories Christmas, southern-style. Meal and rest stops will be made throughout our journey home.